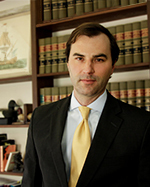 Jonathan Stokes - Glassman, Wyatt, Tuttle, and Cox, P. C.
Defending well-respected Memphis trial lawyers and obtaining dismissal of legal malpractice claim brought against them after they obtained a $350,000 jury verdict for their former clients. Defending directors of a Southeastern construction company and obtaining dismissal on their behalf of a Shareholders’ Derivative suit brought by shareholders of the company for over $1,000,000. Representing a lender in federal court to recover directly from a partnership’s partner for his proportionate share of a $22,000,000 loan. Representing a large healthcare company in a multi-million dollar corporate debt restructure. Representing a commercial real estate company in a receivership lawsuit, including representation during liquidation of assets valued over $2,000,000. Representing a Southeastern hospice company in a receivership lawsuit. Prosecuting and defending a Southeastern hospice company with a multi-state presence in a variety of lawsuits. Defending a commercial trucking company and winning pretrial motion to bifurcate trial on liability and damages, resulting in nuisance value settlement of case when actual damages exceeded $1,000,000. Defending nationwide retail home improvement company and obtaining dismissal of products liability claim brought by customer in federal court. Representing a Decedent’s Estate in a will contest alleging undue influence and lack of capacity with Decedent’s Estate valued at over $1,000,000. Defending multiple real estate attorneys and law firms from legal malpractice claims involving wrongful foreclosure, negligent title search, and principal-agent issues. Defending multiple transactional attorneys and law firms from legal malpractice claims involving tax advice and breach of contract. Defending multiple probate and estate planning attorneys from legal malpractice claims involving breaches of duties owed to the estate and beneficiaries, and conservatorship proceedings.